The 2nd day of the Olive Oil Conference in Rosemont, IL was packed with education, great food and of course, amazing olive oils. Hayley Stevens, North American Extra Virgin Olive Oil Taster's Champion, led a tasting of olive oil. This session helped tasters learn what olive oil from particular regions and olive varieties tastes like. Hayley's approach to olive oil tasting is not only technically excellent, but also emotional. She instructed participants to reach into their memories and experiences to recall flavors and aromas. 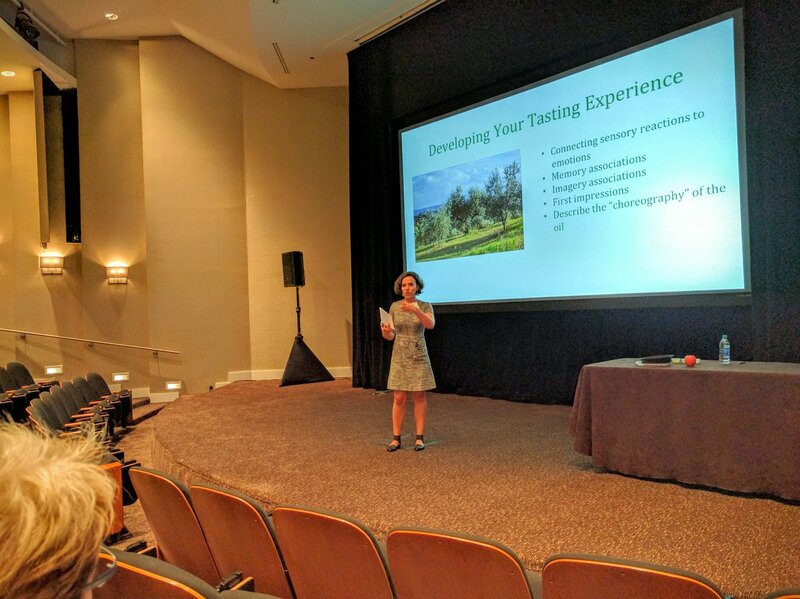 Patty Lamberti, Director of the Graduate Program in Digital Media and Storytelling at Loyola University School of Communication, presented on the use of new media and social media to promote olive oil. She showed participants how to reach out to consumers using both paid and free social media tools. Our breakout sessions sought to solve the problem of flat or falling olive oil usage in North America. Simon Field introduced the concept of Olive Oil City which was explored by the conference participants for feasibility, cost and strategies to implement. Chef Suvir Saran presented a cooking demonstration which was entertaining and informative. We tasted olive oil roasted cauliflower while Suvir demonstrated two recipes. 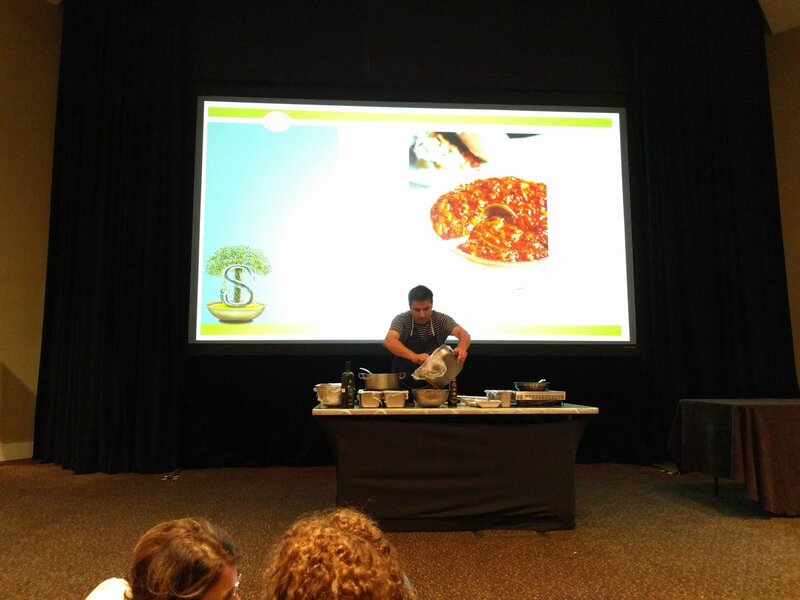 We enjoyed his talk on how olive oil can be used in all kinds of dishes including Asian influenced meals. Our day was rounded out with amazing meals. 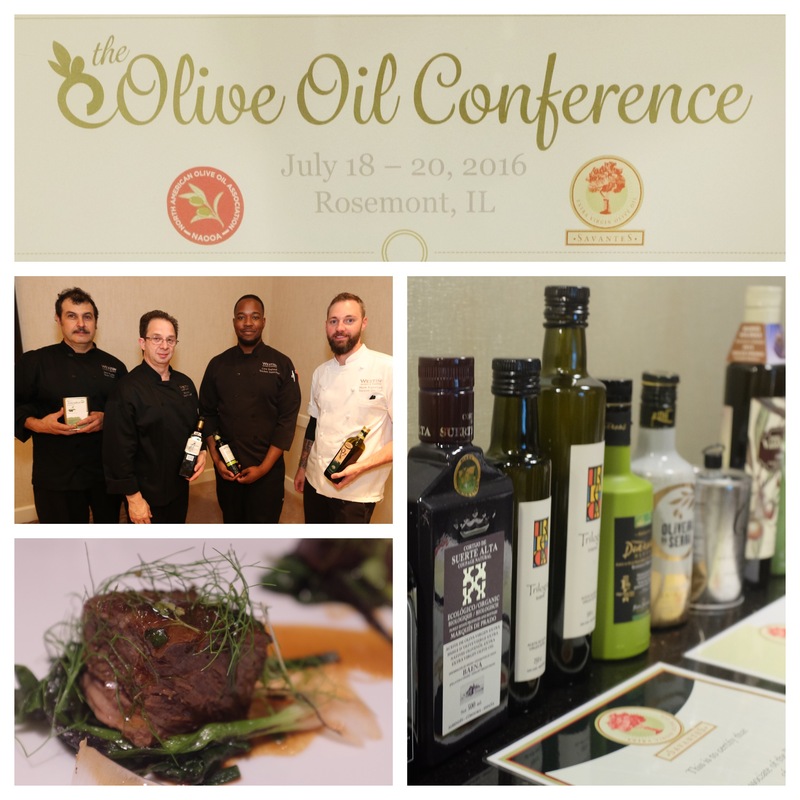 Conference organizers provided the chefs at the Westin O'Hare with high quality extra virgin olive oils. 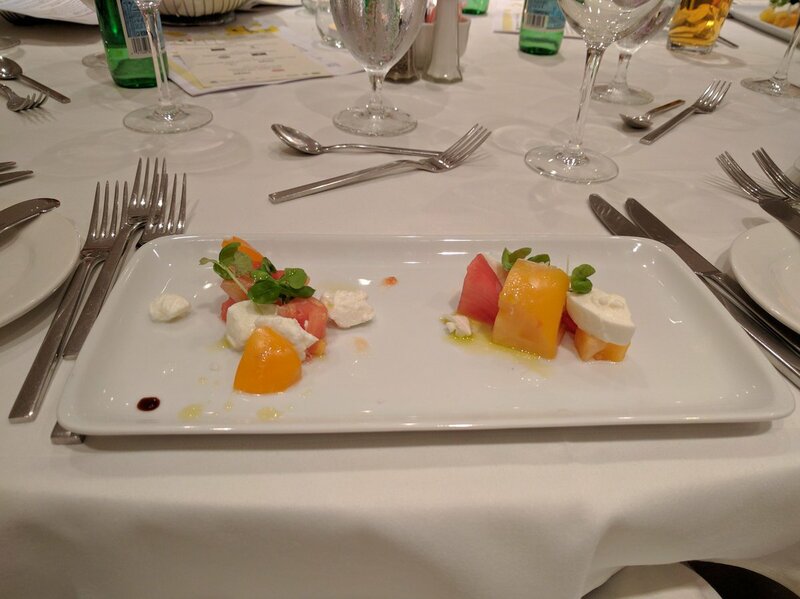 The chefs prepared the same dish using two different olive oils and the food was presented side by side so that participants could taste how the olive oil changed the food. 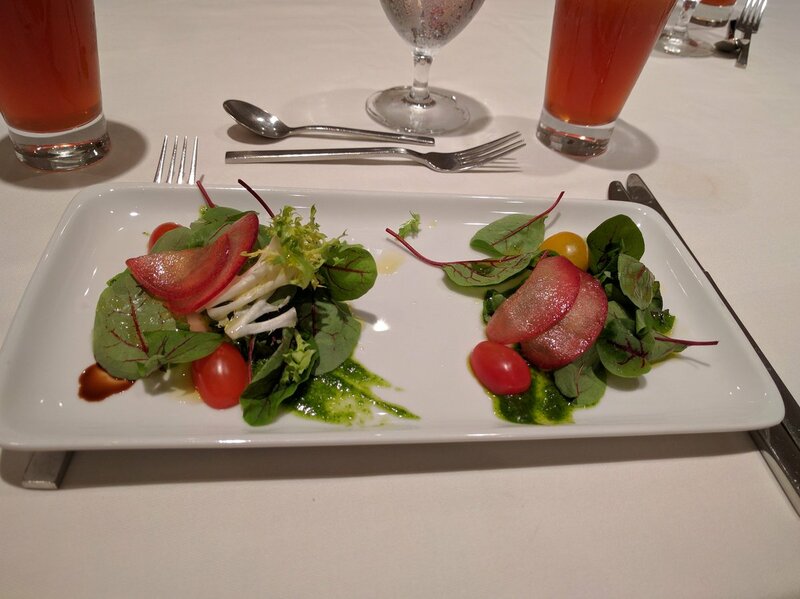 At dinner, we enjoyed a similar experience prepared by the Chefs at the Westin with Italian extra virgin olive oils provided by the Italian Trade Commission. Participants wrapped up the night with plans to prepare for the North American Extra Virgin Olive Oil Taster's Championship the next day.